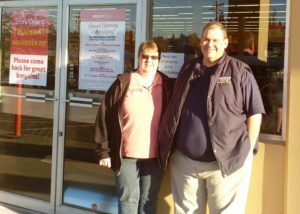 Debbie and Tod Jackson in front of their new store at 52nd and Claremont in Everett. Debbie and Tod are both graduates of Everett High. 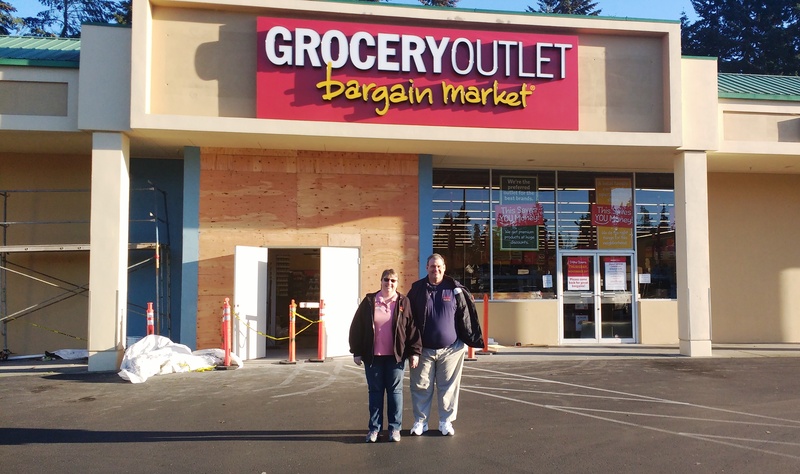 The Jacksons are local Everett High grads (he in 1984 and she in 1987) and are very familiar with Grocery Outlet as former owners of the location at 7th and Everett Mall Way. 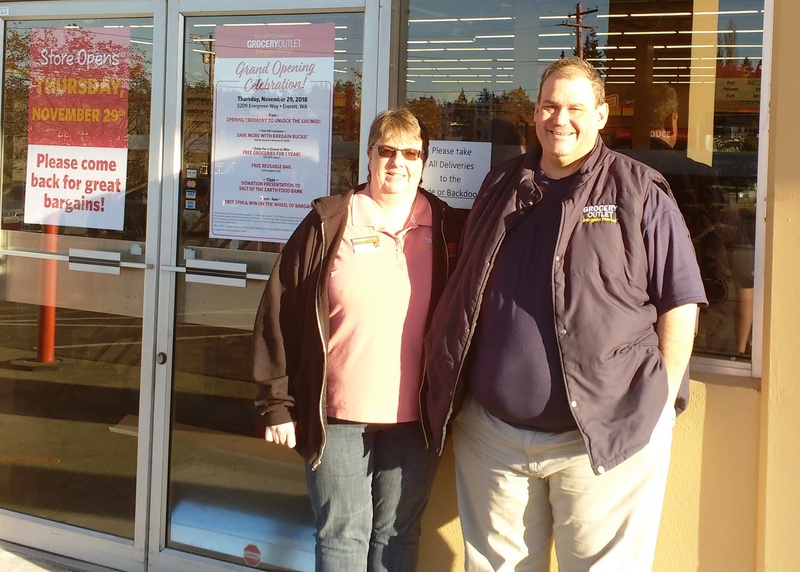 Prior to running that store the couple started with Grocery Outlet in 2008, moving to San Leandro, California to open a new store there in 2009. 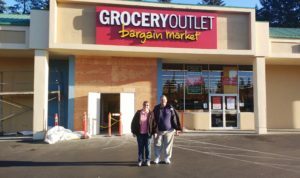 For the grand opening on November 29th the couple will be holding a drawing for free groceries for a year, giving the first 200 customers bonus bucks for savings from five to two hundred dollars, having a prize wheel and donating to Salt of the Earth Food Bank. The ribbon cutting is set for 9 AM.